The vinegar is known to cleanse the scalp and balance the PH level of the hair. Once the PH level is balanced, it will automatically lead to hair growth. Take 75 ml of apple cider vinegar to 1 litre of water and stir it. Shampoo and condition your hair and use this liquid as final rinse. Apply Apple Cider Vinegar mix twice a week for better results. It is popularly known as Methi in Indian houses and has great benefits to health. 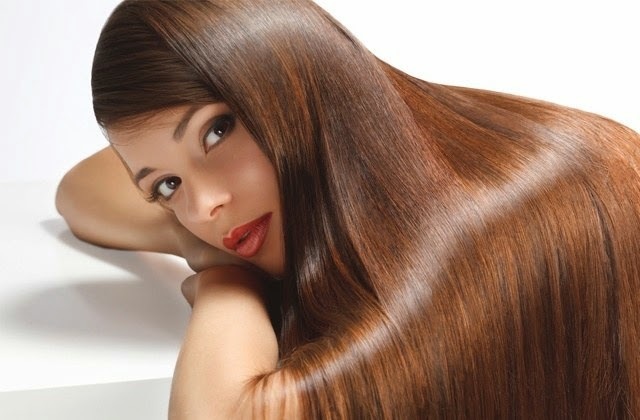 It retains the natural color of your hair and will also help in hair growth. Take some fenugreek seeds and soak it overnight. Blend it into a paste form and add few drops of coconut milk to it. Apply the paste to your scalp and allow it to settle for an hour or so. Wash it with a mild shampoo and condition it. Apply this paste twice a week for better results. Potatoes are rich in Vitamin A, B and C which are a must for long and lustrous hair. Chop the potatoes into pieces and blend it. Let it be in a liquid state. Use a cotton ball and apply the juice to your scalp. Allow it to reside there for 30 minutes and wash it off later with a mild shampoo. Regular application of potato juice will strengthen your hair. Haven't heard of it? Coconut milk is rich in minerals, iron , proteins, potassium and so on. It is a great food for healthy hair. Take a coconut and extract the milk out of it. You can add few fresh drops of lemon to it. Apply the milk to your scalp and leave it overnight. Wash off with a mild shampoo in the morning and do condition. This will prevent the hair fall and hair breakage will also reduce. It is very beneficial if applied twice a week. Surprised? Green Tea is just not good for health but also hair. The antioxidants present in green tea reduces hair fall and strengthens the hair as well. Boil some water and add green tea to it. Let it completely be boiled. Strain it off and allow it to cool down a little. Apply the arm green tea to your scalp and leave it for an hour or so. Rinse off with normal water. You can also use this liquid as final rinse. You can also add it to your diet if you do not like this process. Cumin seeds are rich in nutrients' that would benefit all the hair types. Soak some cumin seeds in olive oil. You can also go with Castor oil, but mind you, Castor oil will be too thick to apply solely. You can go with the oil of your choice and allow the cumin seeds to be in the oil for overnight. Apply the cumin seed oil in the morning to your scalp. Rinse it with mild shampoo after 30 minutes. The cumin seeds will nourish and moisturize your scalp apart from hair growth.